How about Ferma Flooring Luxury Vinyl Flooring? What's the design? 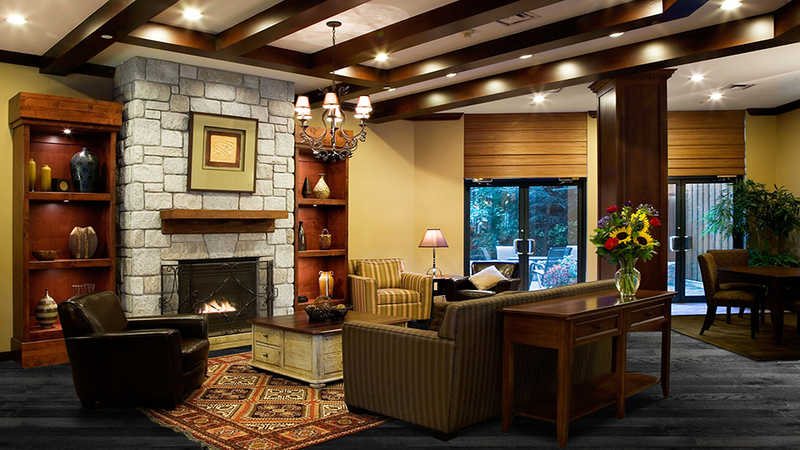 Discuss different issues regarding dimensions, designs, temperature, etc. How about Ferma Flooring Luxury Vinyl Flooring? What’s the design? What are the dimensions of Ferma Flooring luxury vinyl planks? Ferma Flooring has two types of vinyl series, Natural Click Series and Vinyl Trend Series. What are the Luxury Vinyl Plank design at Ferma Flooring? Ferma Flooring’s Luxury Vinyl Plank includes seven components, UV Coating, Wear layer, Decor Film, PVC Sheet, WPC Core, Padding. UV Coating: UV Coating is a very glossy, shiny coating applied to the surface. These special UV coatings harden, or cure when they receive ultraviolet radiation. Wear layer: Wear layer is the re-sandable wood surface above the tongue and groove on wood flooring. The wear layer at Ferma Flooring is 0.5mm (20 mil). Decor Film: decor film adheres on the top of the core board giving the flooring its hardwood/tile look. This layer is printed, high-resolution photo-reproduction of wood grain. WPC Core: WPC is the basic structure of vinyl. It’s waterproof core. Ferma Flooring’s water proof core is 4mm. Padding: padding is the cushioning or protective material. Ferma Flooring Premium padding is 2mm. What subfloors are approved for luxury vinyl products? Plywood is the most common type of subfloor in new homes. Plywood can be divided into cedar, pine, and water resistant varieties. Plywood is rated for use, based on whether it’s for interior or exterior applications and what type of material you plan to use for finished floor. Available in standard sheets of 4’ x 8’, a thickness of ⅝” or ¾” is recommended. Tongue-and-groove plywood works best for a subfloor because it’ll help protect against moisture and movement. For installing luxury vinyl in kitchen or bedroom, water-resistant plywood is a great choice. Another choice is particle board, also known as chipboard. It’s an engineered wood product manufactured from wood chips, sawmill shavings, or even sawdust, and a synthetic resin or other suitable binder, which is pressed and extruded. Particle board is cheaper, denser and more uniform than conventional wood and plywood and is substituted for them when cost is more important than strength and appearance. The third choice is oriented strand board, also known as flake board, is a type of engineered lumber similar to particle board, formed by adding adhesives and then compressing layers of wood strands (flakes) in specific orientations. Particle board and oriented strand board are not commonly used unless it is in an area where water exposure is not a concern. Other acceptable subfloor types include concrete slab, existing wood floor, ceramic tile, resilient tile & sheet vinyl. Why is acclimation required and how long and at what temperature? Room temperature and humidity of installation area should be consistent with normal, year-round living conditions for at least one week before installation of flooring. Maintaining an optimum room temperature of 70 F and a humidity range of 30-50% is recommended. Acclimate flooring by storing the packages in the room or rooms to be covered for at least 24 to 48 hours at normal temperature before installation. What kind of underlayment is approved by Ferma Flooring? 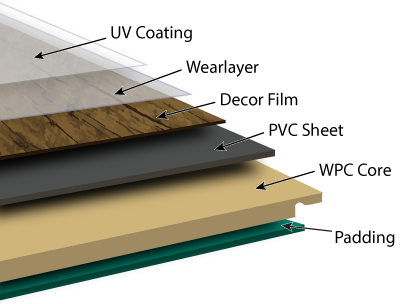 There are four types of underlayment available, standard foam, upgraded foam, combo underlayment and cork. Standard foam is a thin layer of foam placed over the subfloor and if installed in an area prone to moisture, it should be paired with a moisture barrier. Upgraded foam is exactly is often used when noise reduction between rooms is needed, although it does not reduce the sound of people walking on a hard flooring surface. Combo underlayment is a great choice if moisture is a concern. It is composed of foam and a moisture blocking film and can be used over a plywood or concrete subfloor. Cork is the most expensive choice when it comes to the underlayment. It is the preferred choice to achieve noise reduction between floors but does not increase the comfort level of walking on the flooring as some may think. Ferma Flooring provides two types of underlayment, standard underlayment and premium underlayment. I need a list of dealers in my area where I can purchase Ferma Luxury Vinyl Plank? We have a retail locator which can help you find out our retail locations. However, if you need a specific dealer list of Ferma Luxury Vinyl Plank, please give us a call at 877-337-6228.